Three small satellites launched from Russia’s Plesetsk Cosmdorome into a 930-mile-high orbit Tuesday, flying into space aboard a Rockot launcher to relay emails, technical data and other messages between remote users. The 95-foot-tall launcher, a converted SS-19 ballistic missile from Soviet-era nuclear forces, lifted off Tuesday from Complex 133 at Plesetsk, a military facility about 500 miles north of Moscow. The launch occurred at 1348 GMT (9:48 a.m. EDT), or 4:48 p.m. local time. The trio of Gonets M communications satellite packaged on top of the launcher rode away from Plesetsk on a northerly trajectory. The Rockot’s two-stage core booster completed its pair of engine firings about five minutes after liftoff, then a Breeze KM upper stage took over for two burns before deploying the Gonets payloads. 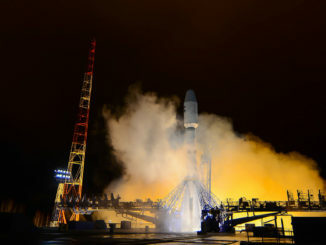 The Breeze KM stage released the three 617-pound Gonets M satellites in orbit at about 1545 GMT (11:45 a.m. EDT), according to Russian news reports. 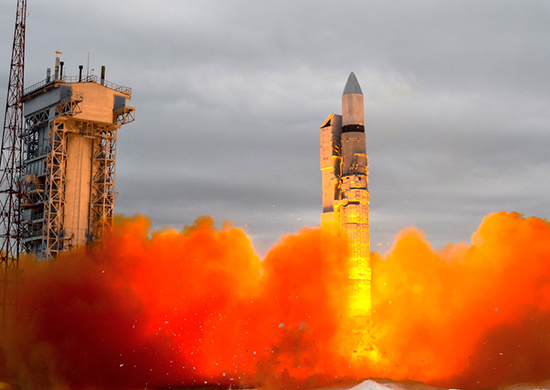 A secretive Russian military satellite accompanied the Gonets spacecraft into orbit. Russian officials have not disclosed information on its mission. The deployment completed the Rockot launcher’s 23rd flight since 2000. U.S. military tracking data indicate the satellites are circling Earth in an orbit about 932 miles — 1,500 kilometers — above Earth at an inclination of 82.5 degrees. 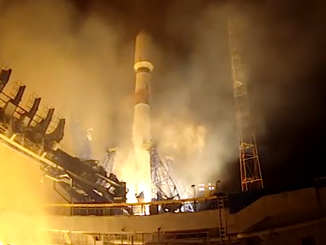 “According to the telemetry data received, the satellites have completed sun and Earth acquisition phases, all their mechanical systems have deployed successfully, on-board subsystems are performing as designed,” Reshetnev said in a statement. Russian government ministries and civilian authorities use the Gonets M satellites to relay secure messages between mobile terminals and fixed operators. The Gonets constellation will be fully operational once ground controllers activate the spacecraft launched Tuesday, giving the network 12 satellites. The Gonets fleet is effective in Russia’s far northern regions out of reach of conventional satellite communications systems. Messages relayed by the Gonets network are transmitted from the ground to a satellite passing overhead, then stored in the craft’s memory until it flies over the message’s recipient. 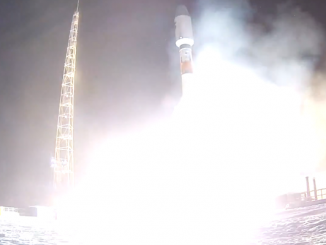 The payloads launched Tuesday are designated Gonets M satellites No. 21, No. 22 and No. 23. The Gonets system is commissioned by Roscosmos, the Russian Federal Space Agency. 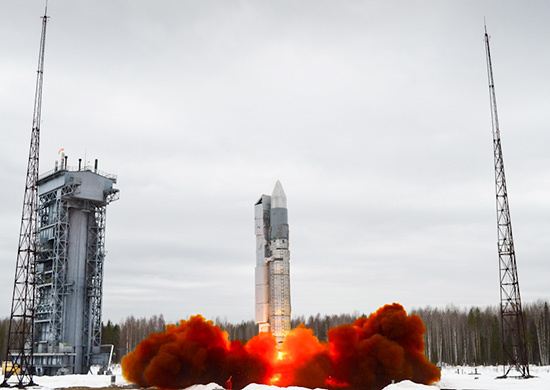 The Gonets system “is intended to provide communications and data transmission services to remote and hard-to-reach regions, including the Far North, as well as to be used for industrial, transport and ecological monitoring purposes,” Reshetnev said in a statement after Tuesday’s launch. Gonets means “messenger” in Russian. Each spacecraft is designed for a five-year lifetime, and Reshetnev said nine more Gonets M satellites are under construction for launches in the coming years. The company is also designing a modernized Gonets M1 spacecraft to introduce upgrades into the communications network.